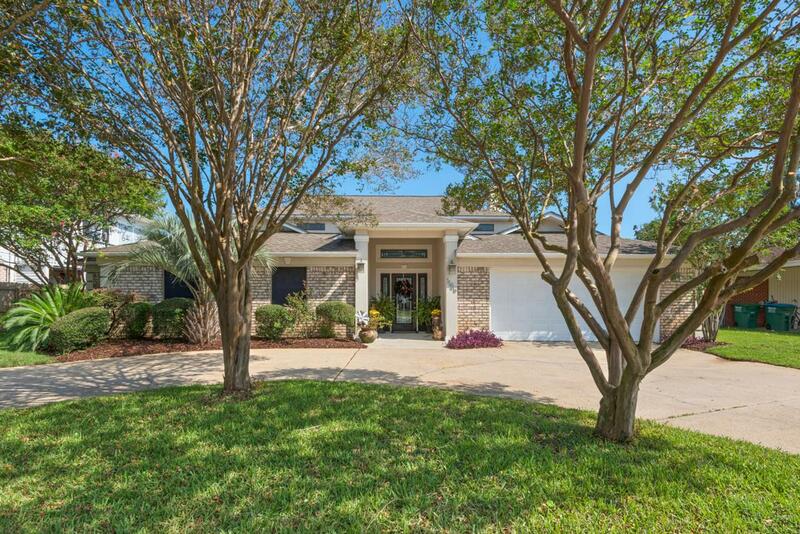 BEAUTIFUL GULF BREEZE LIVING ON CANAL WITH OPEN FLOOR AND 2 BOAT LIFTS, CUSTOM BUILT BI-FOLD CABINET DOORS IN KITCHEN AND GEORGEOUS CONCRETE COUNTERS, SAUNA IN MASTER BEDROOM. INGROUND POOL WITH BRAND NEW LINER FOR THOSE WARM SUMMER DAYS. WHOLE YARD JUST RECENTLY RESODDED. HIDDEN LAUNDRY CHUTE. BRAND NEW WATER HEATER. NEW 3.5 TON A/C. THIS HOME HAS MANY MORE BEAUTIFUL FEATURES.